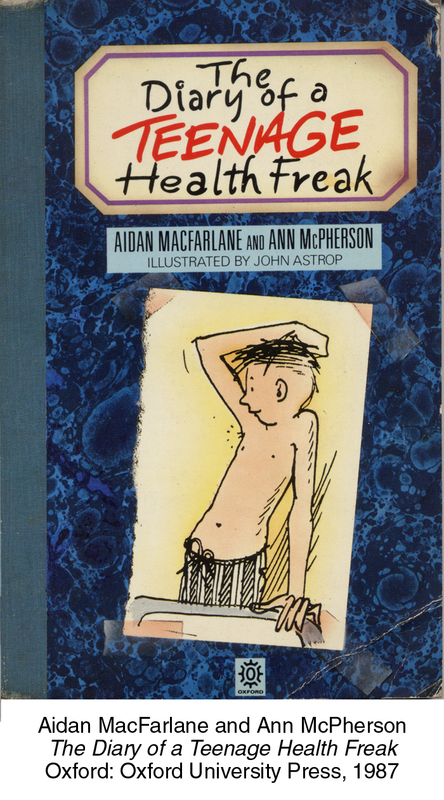 and Ann McPherson, Illustrated by John Astrop (Oxford: Oxford University Press, 1987). Click here for cover illustration. Louis Stevens (Shia LaBeouf) draws hair on his chest, chin and underarms. just wanted to see what it would look like; don't worry, it's non-toxic." the shower drain and pasting it under his arms. Malcolm: What are you doing? Reese: We start showering in gym class . . .
cutting a strand of his hair to dangle it from one of his smooth armpits." Zeke: What are you doing? Luther: I'm visiting my little man. Zeke: Yeah? How's Gordon doing? Later, while wrestling, Luther accidentally pulls out Gordon. Zeke: It was an accident, I swear!